Happy First Day of Summer! I hope it is an iconic one. 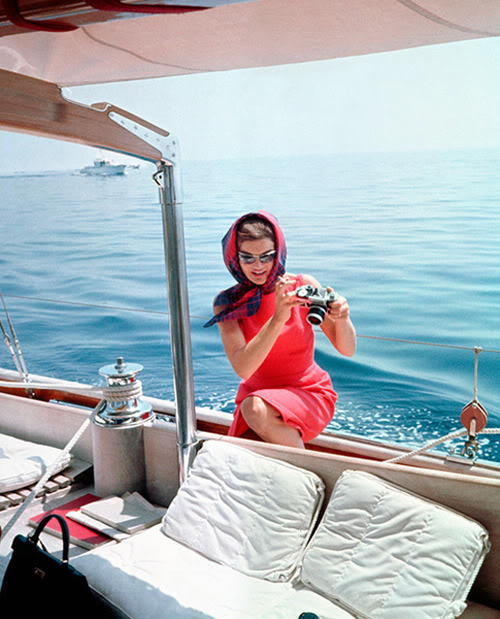 Jackie Kennedy on a boat in Portofino, fifty years ago, as photographed by Mark Shaw. This entry was posted in Her Inspiration, travel and tagged italy, jackie kennedy, jackie o, Jacqueline Kennedy, Kennedy pictures, retro photography, summer travel, travel, vintage photography. Bookmark the permalink.